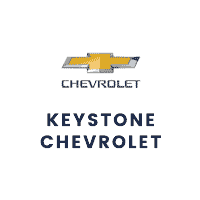 Keystone Chevrolet is a mark of excellence in terms of dealership as well as service and spare parts of your Chevrolet cars. We have a wide range of new and pre-owned inventory. If you already own a Chevrolet, do not worry about its maintenance related issues as we are at Sand Springs, OK with our factory certified technicians readily available at your service. Whenever it is convenient for you, just schedule a service appointment as per your availability through our online service scheduler and do not worry about any sort of repairs and maintenance of your Chevrolet. This online scheduler will ask your vehicle and contact details and the issue you are facing while driving your car. For any sort of additional information, you need or want to discuss a maintenance issue feel free to contact our service center representative for a proper guidance. It is modestly advised that never leave your car’s repair and maintenance with a non-professional dealership. We have years of reputation in the service of Chevrolet cars. We will resolve all your car problems in least possible time and will set you on road again at our earliest. There is no better option than Keystone Chevrolet in Sand Springs, OK and its surrounding areas. So schedule your service appointment with our highly professional and trained technical staff today!